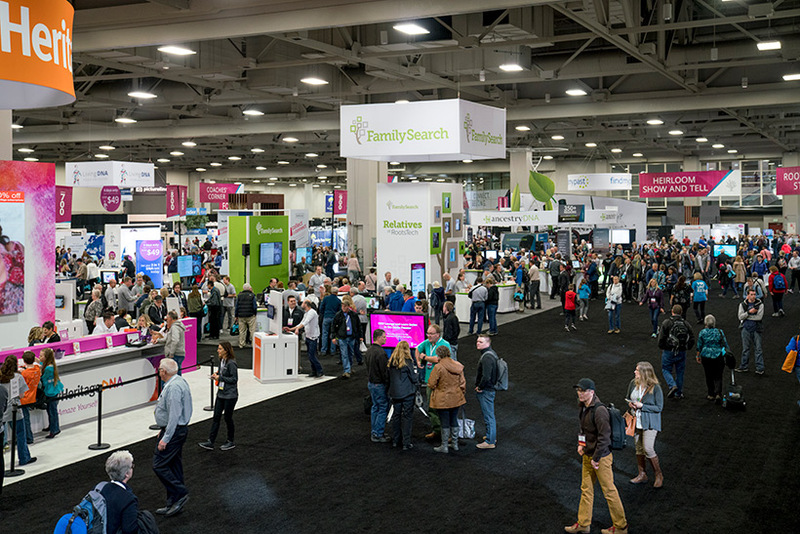 The Expo Hall is the place to discover helpful solutions, watch demonstrations, and interact with innovative family history technology. Come and see what hundreds of exhibitors from around the globe have to share. Wednesday 6:00 p.m. to 8:00 p.m. | Thursday 9:00 a.m. to 6:00 p.m. | Friday 9:00 a.m. to 6:00 p.m. | Saturday 9:00 a.m. to 2:00 p.m.
Test out the latest technology, interact with vendors, and get free swag! 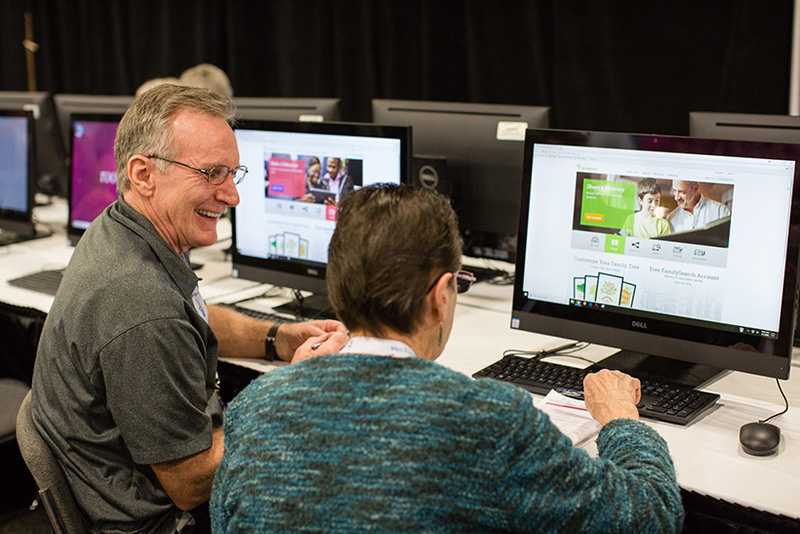 Back by popular demand, the Trace.com Coaches’ Corner in the Expo Hall is the place to go if you’re looking for one-on-one mentoring from an expert genealogist. Bring your biggest roadblocks or dead ends, and receive personalized help. 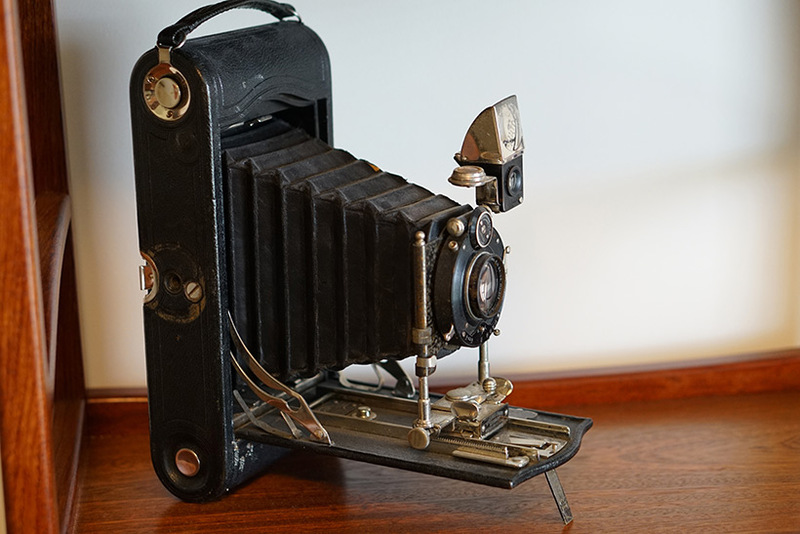 Have an antique, heirloom, or photo that you’d like an expert to look at? Now’s your chance! Bring in any small item, or a photo, or a large item you’ve been wondering about, and we’ll tell you about it. 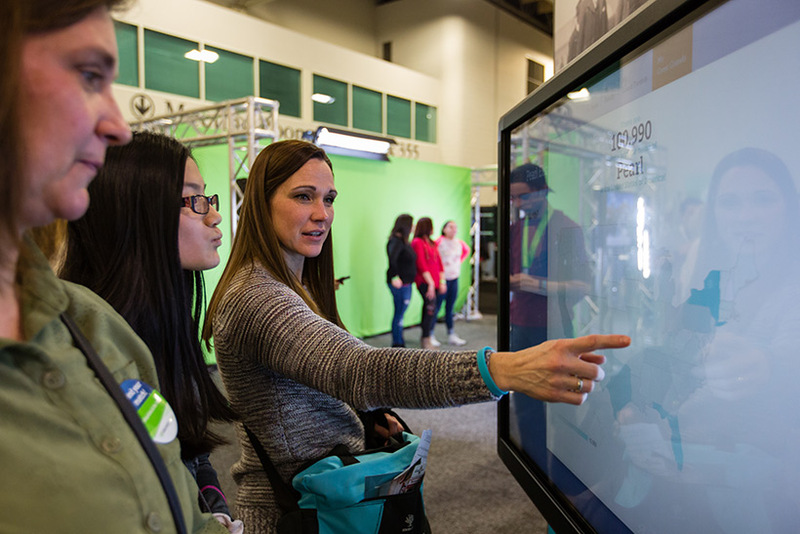 At the Discovery Zone, you’ll see your ancestors come to life with interactive displays, fun facts, engaging activities, and the all new indexing station. Come see how fun it can be to learn about your heritage. 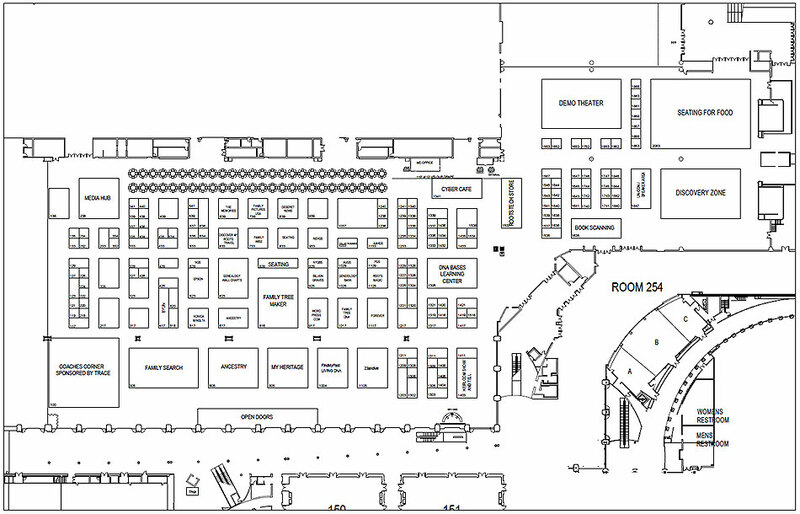 After you’ve walked the Expo Hall, come rest your feet in the demo theater. 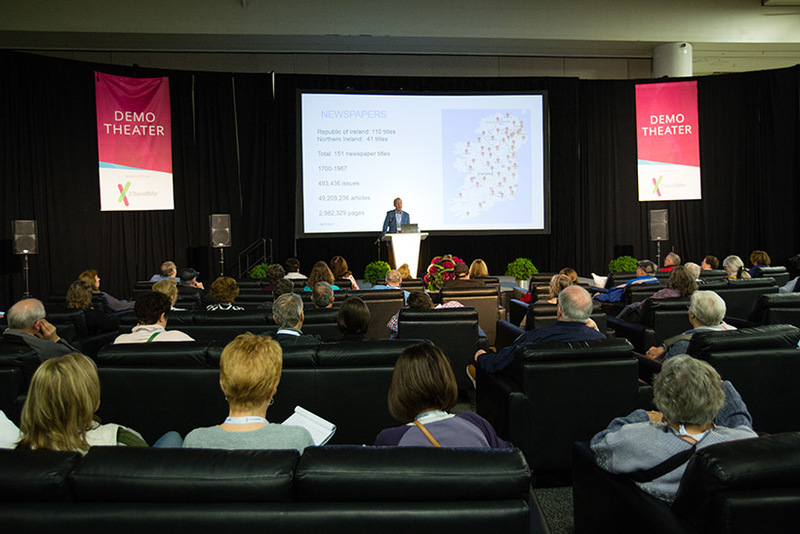 Watch exhibitors give informative, 15-minute presentations and demonstrations while you relax on comfortable couches. 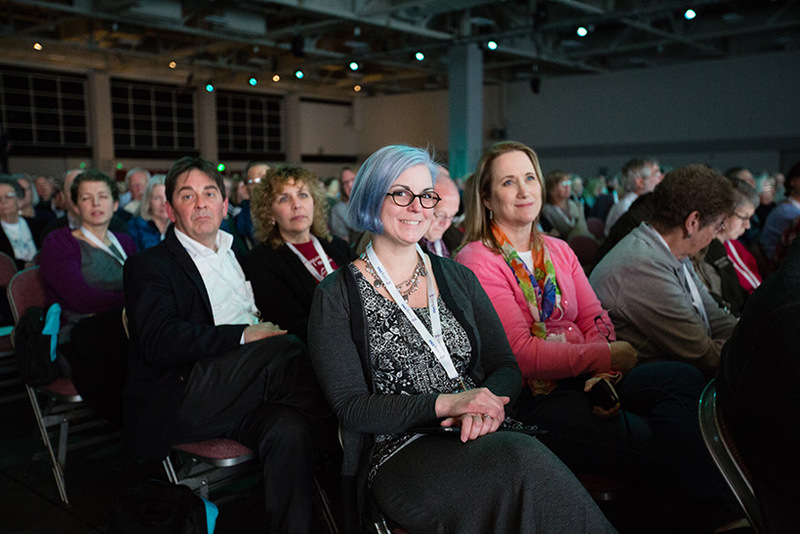 See all speakers, including our world-class keynotes, from RootsTech and Family Discovery Day. Learn more about our entertaining evening events. 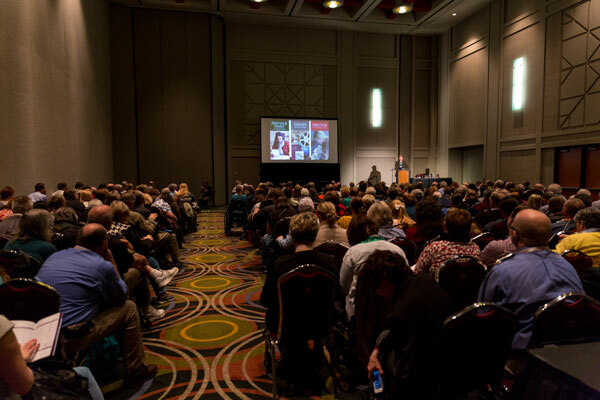 Here are 9 reasons you won’t want to miss the world’s largest family history conference! 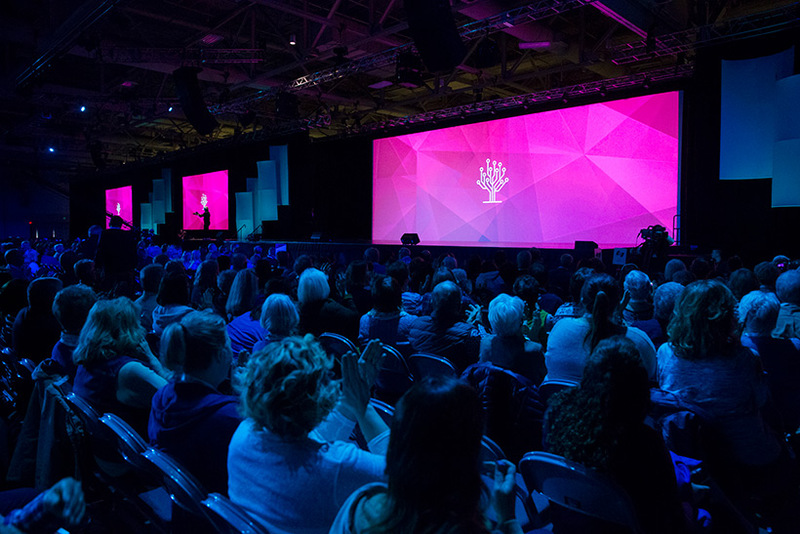 With more than 300 classes to choose from, there’s something for everyone at RootsTech.